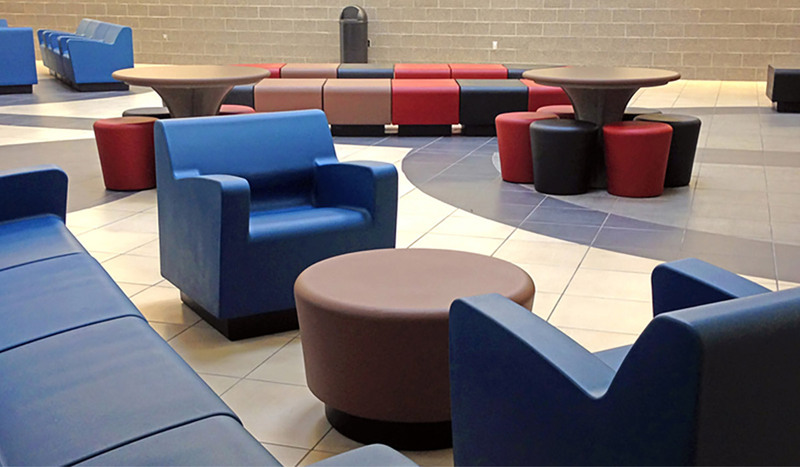 SWS Group supplied Luther College, located on the campus of the University of Regina, Saskatchewan, a new line of Norix Furniture called HONDO NUEVO. Luther College chose a combination of Autumn Leaf, Mulberry and Lagoon to match the walls and flooring of their lounge. This created a blend of elegance and comfort where students and faculty members can unwind and re-energize between classes.